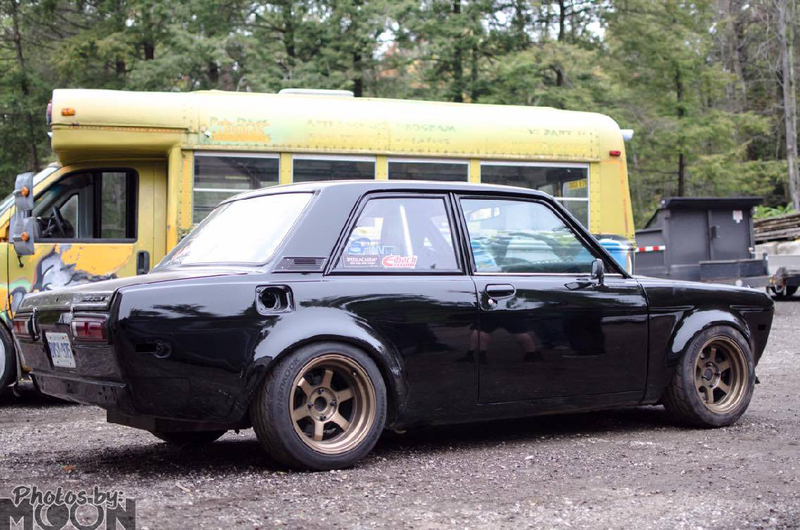 If you’re a regular reader, you’ll recall JP’s Honda F20C-powered Datsun 510 from a series of stories and videos we did earlier this year. JP wasn’t happy with how the car was behaving in the corners, since it had a tendency to transition rapidly into oversteer (not quite as evil as full-on snap oversteer, but not too far off). 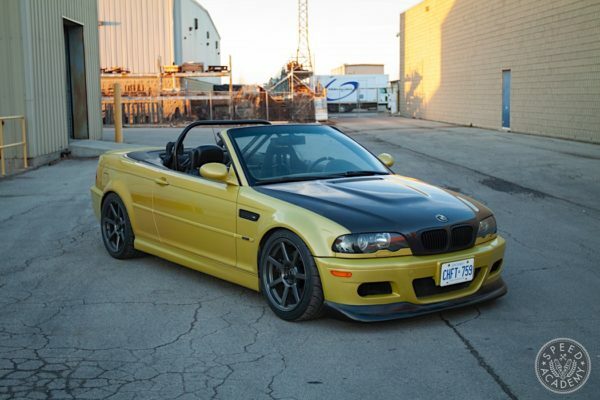 And since his second-hand Stance coilovers were worn out, we decided we’d change out the shocks and springs and attempt to do some science when selecting spring rates in the hopes of hitting on a grippier and more confidence-inspiring setup. When selecting spring rates for a track car we normally take a close look at what the fastest teams are running on the chassis we’re working with, plus we often consult with suspension setup experts who have a lot of experience with the specific car in question. With JP’s 510 that’s not as easy to do, though, not only because there just aren’t a lot of these left but also because he’s re-engineered the front suspension entirely and has also moved the rear lower shock mounting position as well. So the suspension geometry up front is completely different than a standard 510, and the rear is converted to a coilover setup from the factory spring on the rear semi-trailing arm. Since we’re kind of in the dark with a unique creation like JP’s 510, we instead went back to basics and decided to do some maths. The M-word might scare some of you, but the truth is this process was really quite enjoyable and although we’re far from experts on the subject it was reassuring to find that our calculations coincided closely with the physical ‘suspension stroking’ method we cross-referenced it with. I’ll go into more detail on the stroking method later, but for a quick idea of what I’m talking about you can jump to 6:35 in the video above. 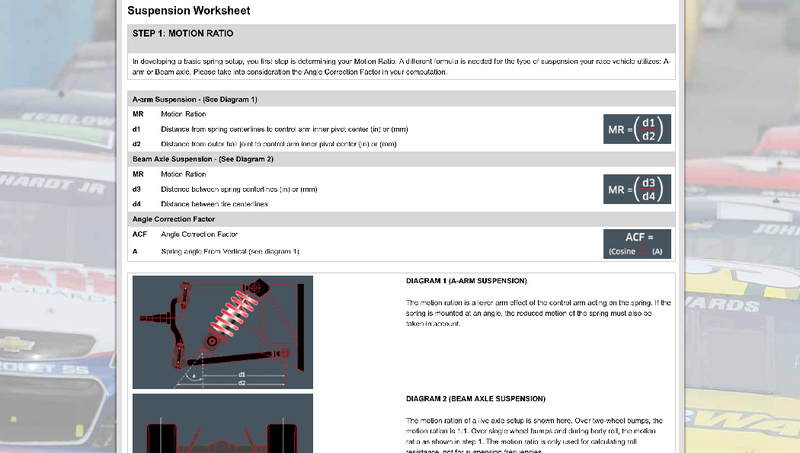 For those of you who want to do your own spring rate calculations, there are some good online resources for this including Eibach’s suspension worksheet, which does an excellent job of explaining the different measurements required and how these allow you to calculate key variables including Motion Ratio (the mechanical advantage or lever ratio that the wheel has over the spring in compressing it) and Wheel Rate (the effective spring rate at the wheel, due to the leverage advantage the wheel has with respect to the spring on the control arm). 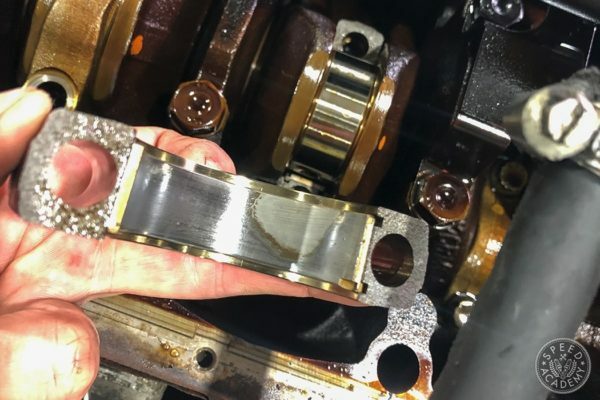 Since a lower suspension frequency produces a softer suspension and more mechanical grip (but also slower transient response or a delay in the suspension’s reaction to sudden changes in direction), there is some tradeoff involved here. 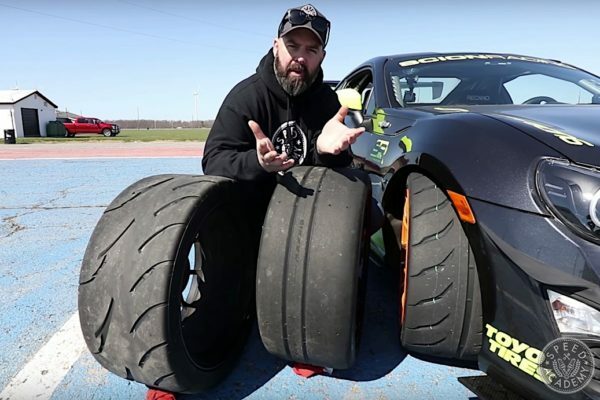 Furthermore, in my experience too high a suspension frequency will produce a very unforgiving car when driven at the limit and one that may struggle to put heat into its tires. So suspension frequency is definitely not a case of “more is better”. 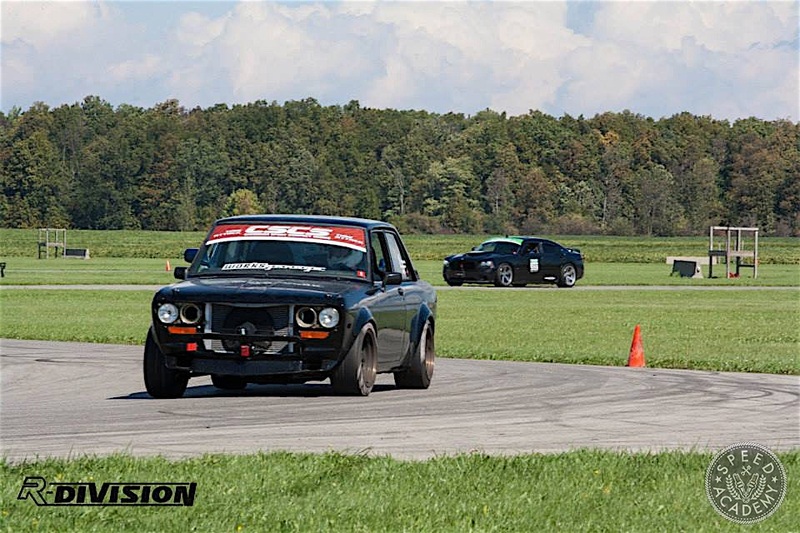 In fact, at the tight and bumpy Toronto Motorsports Park where we do a lot of our testing, a softer setup that generates more mechanical grip often delivers better lap times. That being said, high suspension frequencies do create less suspension travel for a given track, allowing lower ride heights, lower center of gravity, and improved aerodynamics, so at a smooth and fast track like CTMP (Mosport), higher frequencies work very well. Rather than marrying ourselves to a specific Suspension Frequency at this point, we’ll simply use it as our “fudge” factor once we get to the point that we’re calculating Spring Rate. 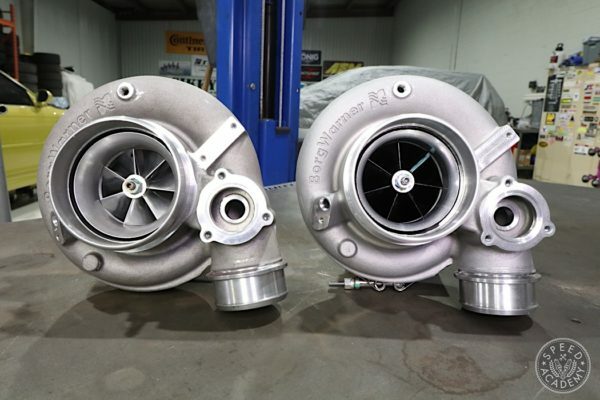 If we find the calculated Spring Rate with a 2.0Hz front and 1.8Hz rear Suspension Frequency yields spring rates that we feel are a bit too high or low, we’ll adjust SF to coincide with our years of experience choosing and testing spring rates on a wide range of track cars and race cars. 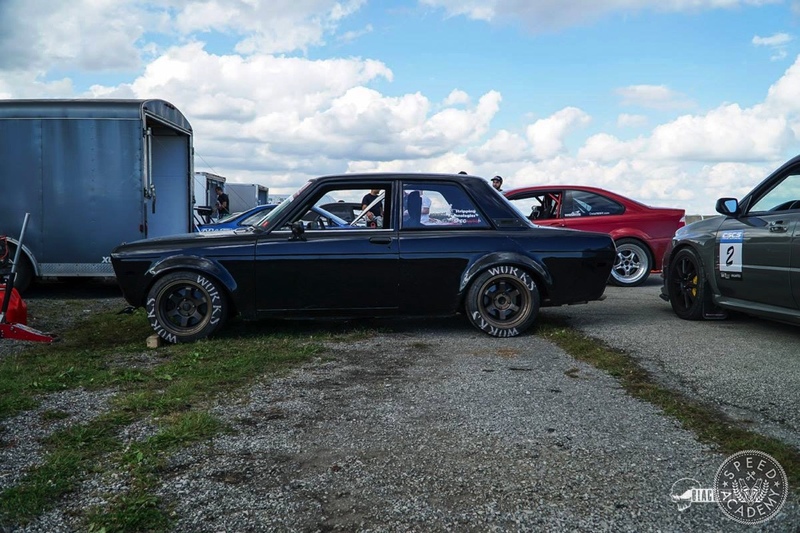 We will likely settle on a lower SF for the rear of the 510 than the front, since we wanted to soften the rear setup to help dial out its tendency to oversteer. Now it was time to get on with the fun of measuring the front and rear suspensions so that we could calculate the car’s front and rear Motion Ratios and Wheels Rates, which would allow us to start calculating spring rates. As you can see from the above image, Motion Ratio is simply the difference between Dimension A and Dimension B, which we measured on JP’s 510 with the suspension jacked into the position it would be if it were resting on the ground (as you’ll see in the video, the car was on jack stands when we were working on it). 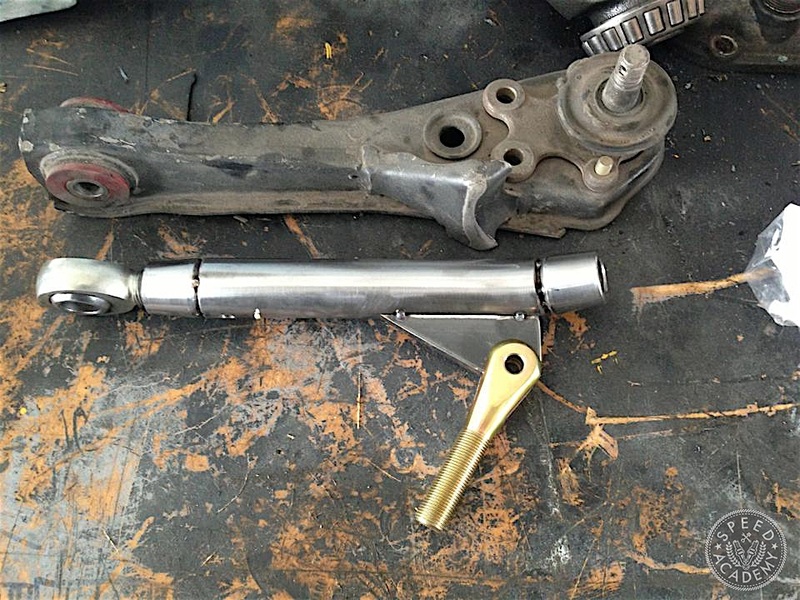 We measured the front suspension, which is a MacPherson strut design and thus going to be close to 1:1. Based on JP’s highly technical plumb bob method of marking our measuring points (lol), we ended up with a Motion Ratio of 0.975.